You’ll find Sea Scouts all over this great land — even in places many miles from the actual sea. The belief that Sea Scouts must live near the coast is just one of the myths out there about Sea Scouting, the BSA’s program for young men and women ages 14 to 20. To dispel that and other myths, I talked to T.W. Cook. 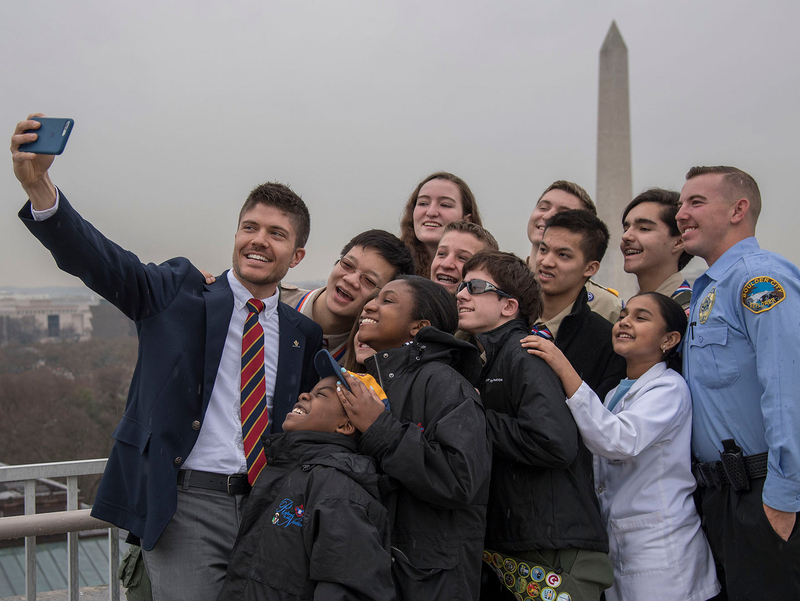 As the Sea Scout Commodore for the Southern Region, Cook is the top Sea Scouting volunteer for the territory stretching from Texas to Florida. Myth: You have to live near the coast to be a Sea Scout. Fact: There are ships all over the country, even in the desert and in the mountains. All you need is a river or lake that’ll float a boat! Take this year’s national flagship as an example. It’s one of the most successful ships in the country, and it’s located in Palestine, Texas, which is more than 200 miles inland. Myth: Sea Scouts requires the use of sailboats. Fact: Any kind of boat is fair game! Paddlecraft ships are the fastest-growing part of Sea Scouts — kayaks, canoes and stand-up paddleboards. Some ships focus on one kind of boating, while others mix it up and try sailing, powerboats and paddleboards. Ships don’t need to own boats at all. Many councils and other community organizations have paddlecraft and small sailboats that Sea Scouts can use. Myth: Sea Scout ships must be chartered to a yacht club. Fact: More than 75 percent of ships are chartered to traditional BSA chartered organizations, such as places of worship or VFW posts. You just need an organization that appreciates and supports Scouting values. Myth: Sea Scouting is primarily for young people interested in joining the Navy or the Coast Guard. Fact: Yes, the skills young people learn in Sea Scouting can prepare them for a maritime career, if that’s their interest. And many Sea Scouts have found their calling on the water. But really, Sea Scouts is for anyone who loves to have fun on the water. Myth: Sea Scouts only do boating-related activities. Fact: While that’s the focus, Sea Scouts can do any Scouting activities. Sea Scouts have hiked Philmont, participated in shooting sports (there’s a special Sea Scout Marksmanship Award that’s challenging and very popular), gone rock climbing and more. Some of the most fun is when Sea Scouts combine Scout outdoor skills with boating — like taking a weeklong kayak camping trip down a river, or a small-boat cruise up the Texas coast doing primitive camping on islands.